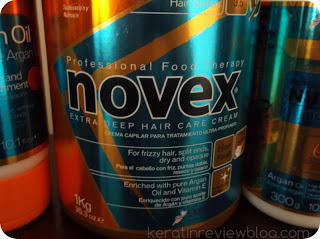 Over the last year or so I have been using several of the deep conditioners from the Novex hair care line. I gave a review of one of their deep conditioners on my blog before and I have a few more reviews that I plan on doing in the future. Since I gushed on how much I liked their products, the company actually sent me some more products to review! I was over the moon! They sent to me a majority of the products from their most popular Argan Oil line. I have to say that I was really impressed in how they improved the packaging in which they also fully translated the label in English. 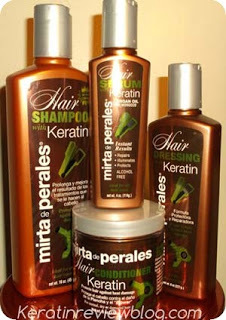 I received the shampoo, rinse out conditioner, deep conditioner and leave in. The conditioner was nice and thick which was great. I would leave it on my hair for five mintes in the shower and my hair felt great once I rinsed it out. It detangled my hair like a breeze as well. In addition, I found that it gave me pretty, shiny, defined curls if I was to use it as a leave in. 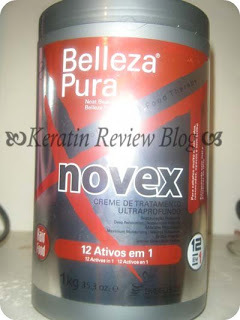 I wasn’t expecting it to be as great as the other Novex conditioners I tried which did not lather up like this one did. After being held vertically for a few seconds. The magic moment for this product was after Ii put a plastic cap on and sat under the dryer. It was like a Miracle. My fingers glided through my hair like a hot knife through butter. It felt so silky. What I loved about it was that I would get consistent results EVERYTIME. (This is so important to me!) I didn’t have to add any special ingredients for it to work. I just slapped it on wet hair, sat under the dryer and my hair practically detangled itself when I was done. It far exceeded my expectations! Also since the jar was so huge, I occasionally used it for cowashing because it had such a great lather. 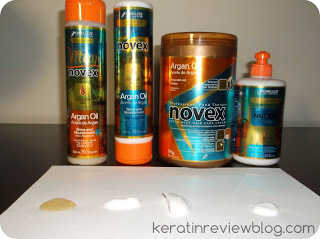 The consistency isnt the same as the others conditioners I’ve used, so unfortunately I couldn’t use it as a leave in too. The other products in the line are supposed to do that anyway! The leave in is my secret weapon when it comes to rollersets these days. Not even the super slip of the deep conditioner threw me for a loop as the leave in did. When I first applied it, it was foamy in my hair and it did not have as much slip as the other products. 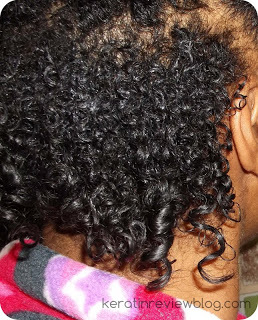 It did define my curl pattern pretty nicely on its own. I wasn’t too sure how it would work for straightening so I decided to rollerset using just the leave in ALONE. 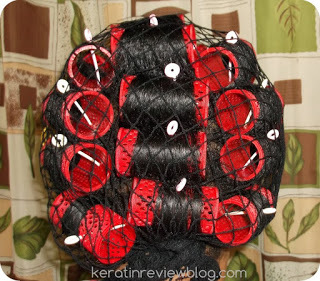 I then rolled my hair using my trusty red mesh rollers and pins. My hair was so easy to smooth on the roller. It was one of the easiest rollersets I have done because the new growth just flattened out with little resistance. The foaminess of the leave in actually felt like I was using a setting foam, which is why I think it was so smooth.After drying, the results were amazing! My hair was so smooth and bouncy. I couldn’t believe it! There was no ash in sight! 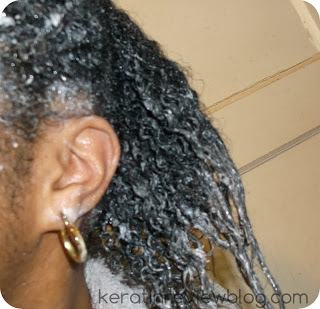 Creamy leave ins usually leave dull, powdery residue in my hair, but not this one! The roots were practically straight. I was amazed. Even though I think I have a good rolling technique, the level of smoothness was something I have not felt before. It literally felt like I had just flat ironed the roots! After testing these products using different techniques and styles what I found is that these products are really multi functional! What I like most about these products was the foamy quality they had in my hair. 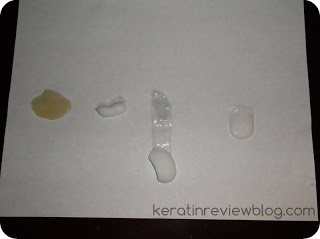 After experimenting a bit, I found that I could manipulate how foamy the products got depending on how wet my hair was. If I wanted a good deep condition I would wet my hair a little more to get the conditioner to lather up. 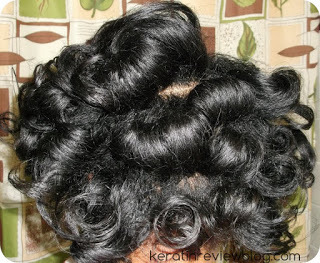 And if I wanted more curl definition, I would apply more product on damp or slightly towel dried hair. Effective co washing: I found that I could use just the conditioners for washing my hair on non straight hair days. Both my hair and scalp look and feel clean after rinsing. 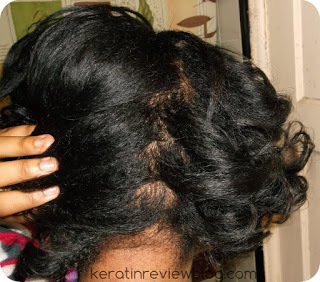 Better deep conditioning: When I got lather like suds with the deep conditioner, my deep conditioning sessions left the hair silkier and easier to detangle then when i didn’t. I also used less product this way. Hair smoothing and control- The foam acted like a mousse without the drying feeling and I feel like it helped to clump my curls better. I was also able to slick my hair smooth with the products as well. Too much lather though would have an opposite effect. 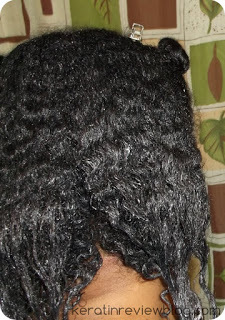 Dried quickly: I let my hair air dry with the product and it dried much quicker than if i was to use gel or a product with a heavy creamy texture. I do feel though that the foamy quality might be due to my hair’s texture(spongy). 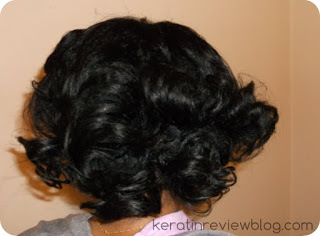 I tried the products on some silky textured weave hair and it didn’t have the same effect. Overall, this was a superb hair line. The only thing anyone could not like about it would be the smell. 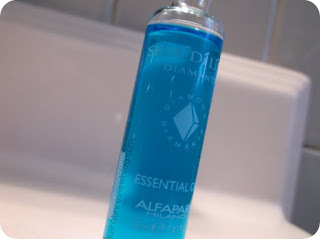 The scent of the products is like a sweeter version of Ashanti’s “Precious Jewel”. It is not a bad smell at all, plus not strong and it dissipates fairly quickly. After using the product so often I have just gotten used to it! The products work so well though that it really is a non issue. 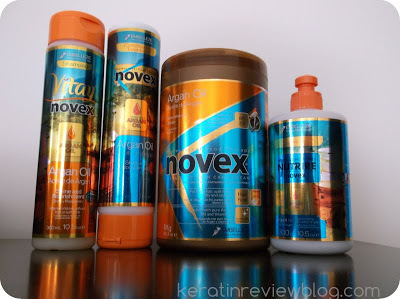 What more can I say,I just LOVE Novex products! They are a underrated line in the hair care world. Has anyone else tried this line? Did you have the same effect?